I loved the fact that the event kicked off with my fave song at the moment, 'Uptown Funk'. When they played it I just hopped out of my seat naturally then was instructed along with the hundreds of other ladies (and a few guys) in a quick dance/aerobic/cardio routine that even incorporated some of the goodies in our bag. I burned some calories and jammed to some good music. After the workout the event went right into a panel discussion with several medical doctors specializing in everything from Cardiology to Neurology. I tried to take notes but I don't want to post anything that isn't medically sound so I'll just say this. The common thread running through the entire two hour discussion was that most of the diseases such as diabetes, Stroke, High Blood Pressure, ETC. can be prevented or reduced severely with regular exercise, Heart Healthy Diet, Plant Based Diet and Monitoring Stress. The key thing that stuck with me is everything in moderation and consistency. This has to be a lifestyle. Me sitting in the LA Convention super excited for the festivities to begin!! So this is the awesome reusable goodie bag they gave us at check in. 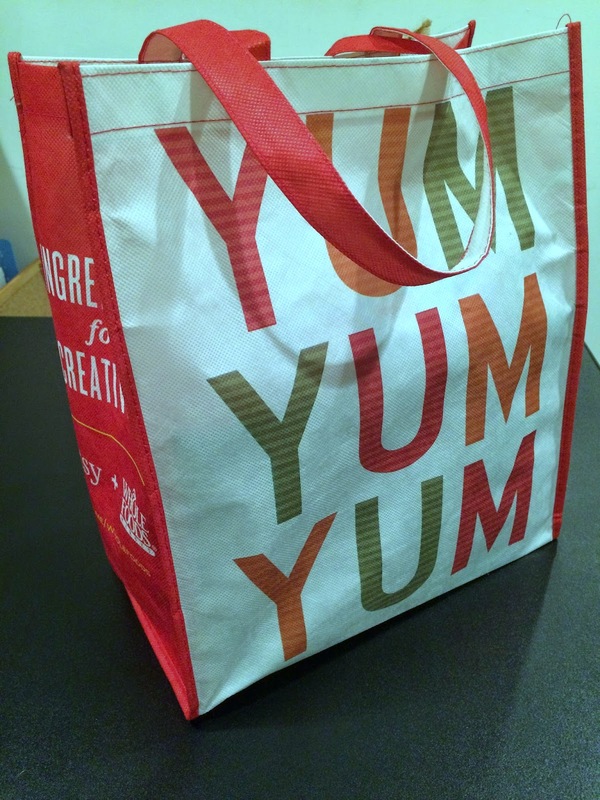 I can't wait to use this bag in my next trip to the Grocery Store. This was definitely a highlight. If this is all they gave me I would have been satisfied with that. But wait there's more! Then they gave me more cool stuff in the bag. Well some of this stuff is from the Vendor Room. 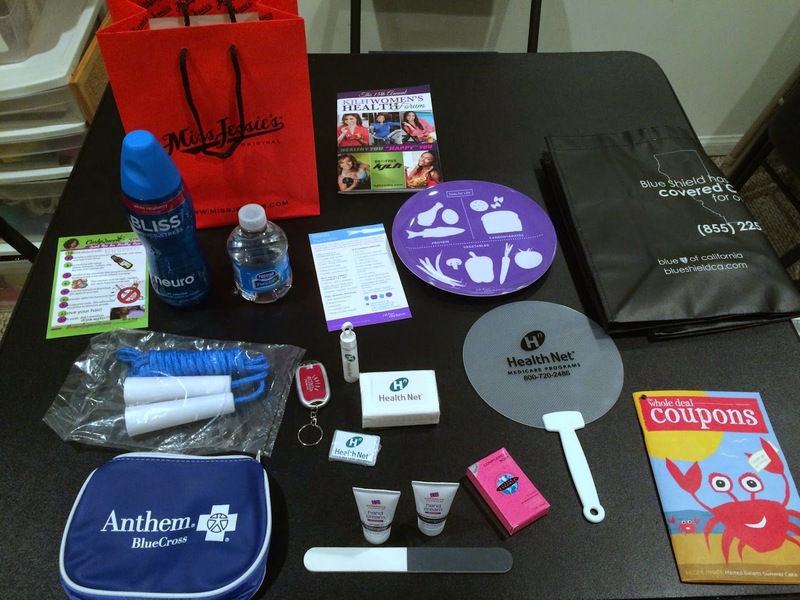 The Health Care Provider (Anthem, Blue Shield, Health Net) Swag items were not in the gift bag. I actually picked those items up from their tables. 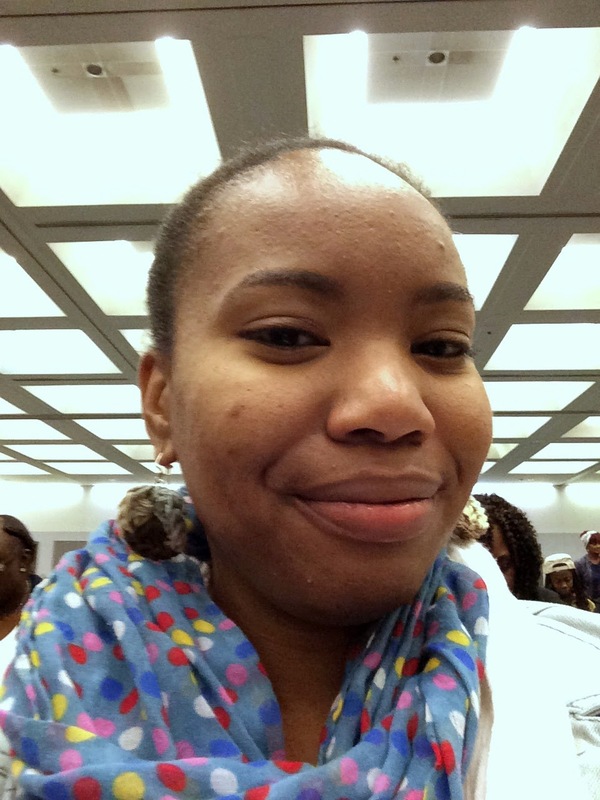 I was provided with 2 samples of Neutrogena Hand Cream that are perfect to throw in my purse, 1 sample of Clear Essence complexion soap (formulated for people of color), 1 bottle of Neuro Bliss water (It's supposed to reduce stress, enhance mood and provide focused concentration. We'll see about that,) 1 nail file and 1 plate outlining the proper food portions. Okay last but not least the Miss Jessie's bag. This my friend contained 4 samples (Coily Custard, Multicultural Curls, Curly Pudding and Curly Butter Cream) and it also came with a style guide. I'm excited to try these new products. Alright now for the real highlight of the entire event, Oya. She was a phenomenal speaker. First let me say that I was trying to decide where to go during the breakout session because Angela was set on key sessions she wanted to attend but neither jumped out at me. As I kept going over the schedule something about Oya's session on The 5 Star Points for Success just spoke to me so I mentioned it to Angela. Then as we are just browsing the different rooms Angela points out the room where Oya's session is being held and then leaves to find her room. I'm like guess I'm going. (LOL she didn't abandon me but in retrospect I was like dang I totally felt like a kid getting dropped off at school for the first time) Anyway, All I can say is Oya's breakout session was so needed for my life. I've heard a lot of what she said before but it was the way she said and the words she used that made everything finally click. I left feeling empowered, inspired and ready for the challenge. 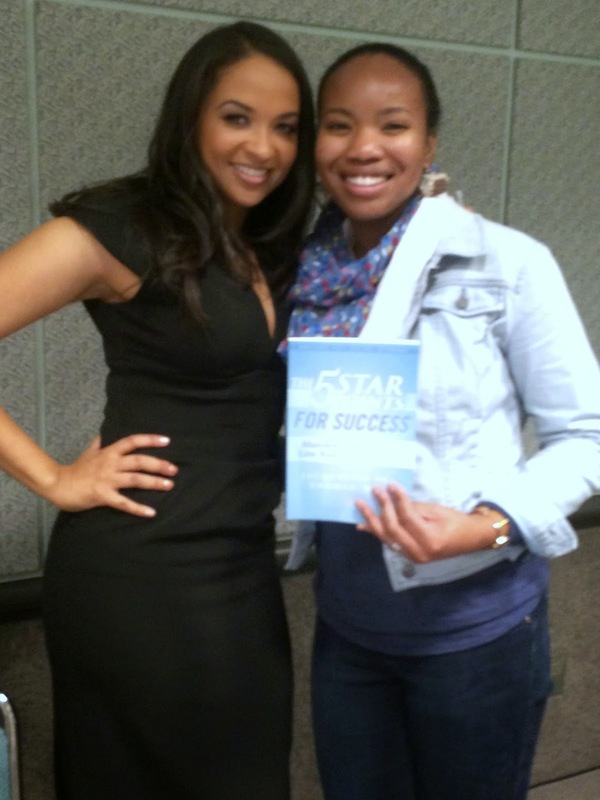 Oya author, speaker, singer, actress...she totally made my day! 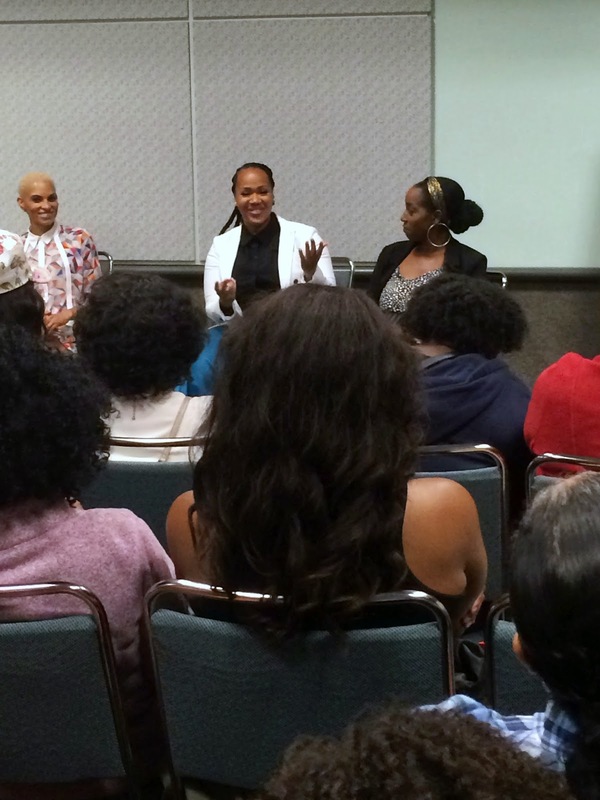 After the session with Oya I attended the Naturals in Hollywood Panel led by Tammi Mac. 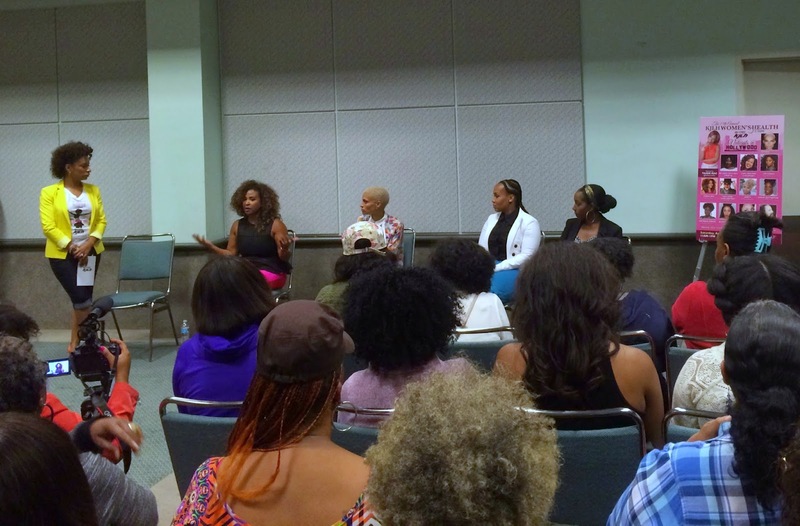 Most of the discussion was centered on how these women, Tanika Ray, Goapele, Goo Goo and Ashley Fetherson, manage having natural hair in Hollywood. They shared their hair journeys, how people respond to their hair, how they define themselves: Natural vs. Naturalista, how men respond to their natural hair and which women inspired them. Overall I was totally surprised by the realness of the women. They were so down to earth. They provided insights into their hair choices and lot of it was truly based on how they felt and what worked for them. I enjoyed this session and overall loved the encouragement from the panelists to the audience not to get caught up in hair textures and types but to wear their hair in a way that makes sense and feels good to them. Close Up of a few of the Panelists, Goo Goo is a funny woman. I loved her insights. She kept it 100 as they say. 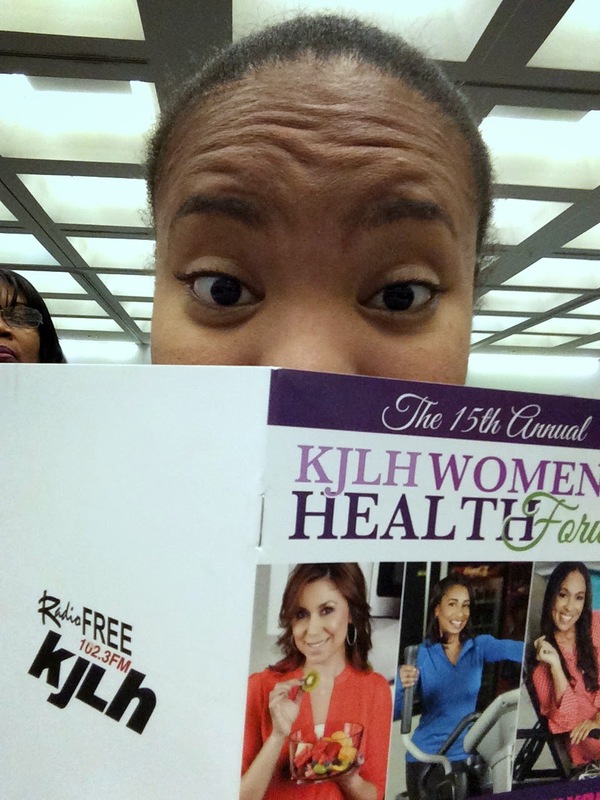 Overall I say that the 15th Annual KJLH Women's Health Forum was a great event. I enjoyed being a part of an event where I was the target audience. I also want to call attention to the fact that the event was FREE. I paid nothing to attend and even if I hadn't make any purchases I received so much more in return for what I gave. Hope you enjoyed the read. Leave me a comment with your thoughts about the event if you did go or questions about the experience.